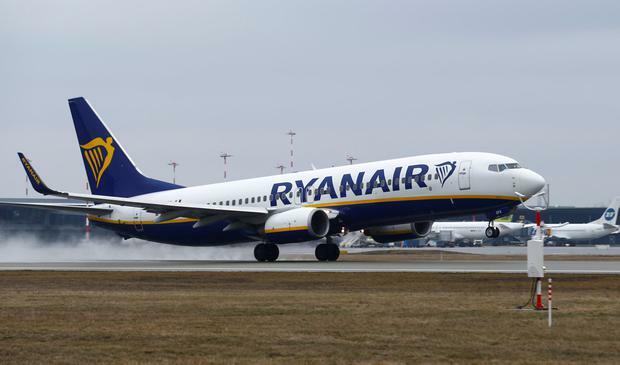 Two men were arrested after a fight broke out on a Ryanair flight from the UK, leaving blood spattered across the cabin. The airline confirmed officers in Tenerife had been called to meet the plane as it landed from Glasgow Prestwick. A statement from Ryanair said: "After two passengers became disruptive in-flight... police removed and detained two individuals." He said: "It all started over a woman not wearing her shoes on the flight going to the toilet, and a very drunk man pulled her up about it, saying that someone would stand on her toes, then the woman's boyfriend stepped in and tried to defuse the situation.